Bullion Park is located at Lentor Loop. 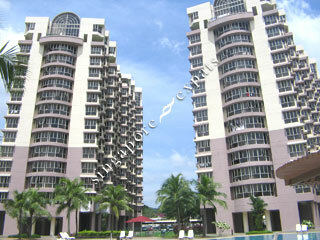 It is surrounded by the accessibility of the Yio Chu Kang MRT station, CTE, TPE and SLE. Sprawling amenities near Bullion Park includes the Northpoint Shopping Centre, Junction 8 Shopping Centre, Yio Chu Kang Stadium and swimming complex, Ang Mo Kio branch library and a host of other reputable schools including Nanyang Polytechnic, CHIJ St Nicholas Girls’ School and the Anderson Junior College. A great place you are always longing to come home. Great views of the lake, green, swim pools, tennis courts, koi pond garden in resort & lush landscaping. Unit is on high floor which is brezzy and great privacy. 5 mins walk to bus stop & 2 stops to get to Yio Chu Kang MRT. 5 mns drive to great amenities eg.Greenwich V, AMK Hub & 10 mins to North Point Mall. 5 mins drive to get into TPE, CTE & SLE expressways.